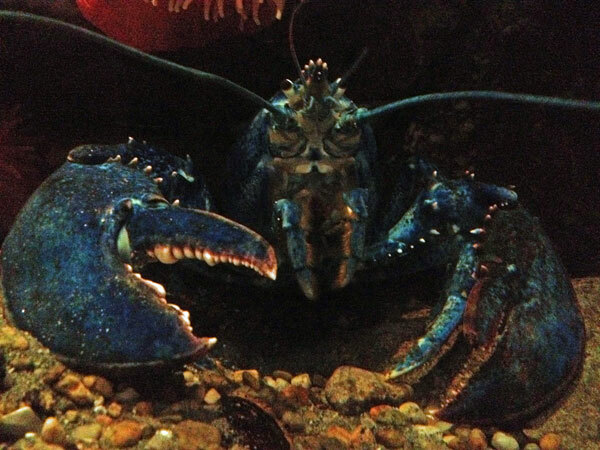 The Aquarium's Director of Research, Michael Tlusty, Ph.D., spoke with Bytesize Science about lobster shells. While most American lobsters are just a mucky brown color, there's actually a lot of chemistry happening to make the shells that color those. Watch this video for an explanation on lobster shell color—and why all cooked lobsters come out looking bright red! 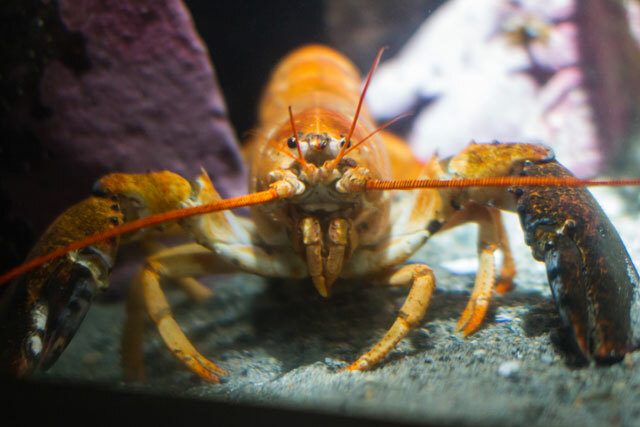 As you heard in the video, the Aquarium grows lots of lobsters through our American Lobster Research Program so that scientists can study lobster shell disease. Lobstermen are catching lobsters with signs of the bacterial infection all over New England. The disease doesn't effect the meat, but it makes the lobsters difficult to sell. ...and others are orange, or brown! 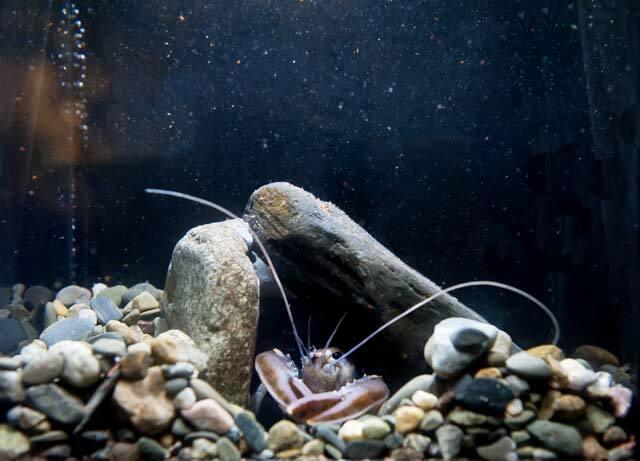 And don't forget to visit some of the tiny lobsters and see the variations in shell colors in our lobster nursery exhibit. Pick up a timed ticket online and print it out at home — no service charge! You'll be marveling at these adorable bottom-dwellers in no time.